What is a Category 5e patch cable? Think of it as the street that links the houses on your block and all the destinations in town. This cable is used to connect all the hardware destinations on a Local Area Network (LAN). The RJ45 Molded Cat 5e Patch Cable is perfect for use with 10/100 Base-T networks. Complete with RJ45 male-to-male connectors and snagless molded strain relief. PRODUCT FEATURES: Perfect in conjunction with 10 and 100 Base-T; 50 micron gold plated connectors to ensure a clean and clear transmission; Premium snagless-type molding to protect the connection; Exceeds the performance requirement of Category 5e. 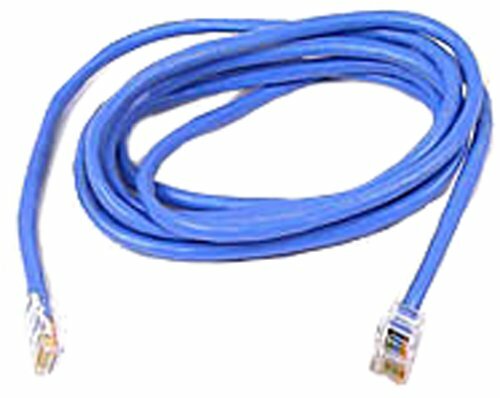 RiteAV - Cat6 Network Ethernet Cable - Blue - 10 ft.